Jose Manuel Pirela…if he was not a professional baseball player, he would be interested in being a physical education teacher. Pirela (pronounced pee-REH-la) spent the season in SD, setting career highs in games (146), at-bats (438), runs scored (54), hits (109), BB (30) and SB (six)...Made 103 starts, including 70 at 2B, 26 in LF, five in RF, one at 1B and one as a DH...Hit .266 (105-for-395) as a starter with a .313 OBP (25 BB)...made 43 appearances as a substitute, combining for a .093 average (4-for-43) and a .188 OBP (five BB)...hit .091 in a pinch-hit role (3-for-33), which ranked third-lowest in the ML (min. 20 at-bats)...Hit .324 (24-for-74) across his first 17 games from 3/29-4/15 with eight multi-hit efforts...Tied his career high with four consecutive games with at least one BB from 4/27-30 (also: 9/3-6/17)...Had a .296 (29-for-98) average in May, his highest clip in a calendar month since he hit .299 (29-for-97) in July of 2017...SD finished May with a 15-13 record (.536), and it was the first winning month for the Friars since they went 14-11 (.560) in July of 2017...in SD wins in 2018, he hit .293, and in losses, he hit .218...Belted his first HR of the 2018 season on 6/15 at ATL...it was his first HR since 9/3/17 vs. LAD, and prior to his round-tripper, he was homerless in his previous 293 at-bats (which at the time, was the second-longest active streak without a HR in the majors)...Logged 10 three-hit games, which led the club...On the road, hit .275 with a .303 OBP...at home, hit .223 with a .298 OBP...four of the five HR he hit were on the road...Hit .283 with RISP (26-for-92) and .282 with RISP/2 out (11-for-39). Split the season between El Paso (AAA) and SD, playing in a combined 131 games and setting career highs in nearly every offensive category... Started the season with El Paso where his .331 average, 13 home runs and 42 RBI led the entire Padres minor league system at the time of his call-up to the big league club on 6/6... Nominated by the Padres for the Hank Aaron Award, given annually to the top offensive performer in each league, after leading the club in average (.288), on-base percentage (.347) and slugging (.490) with 25 doubles, four triples and 10 home runs in 83 games... Hit safely in seven of his first eight games with the from 6/6-13, including six multi-hit efforts with a .484 (15-for-31) average, four doubles, two home runs, seven RBI, four walks and eight runs scored... His first home run of the season was of the leadoff variety on 6/10 vs. KC and it was his second career lead off home run (also: 6/7/15 vs. LAA while with NYY).... Homered in consecutive games for the first time in his career the following day on 6/11 vs. KC, a solo homer in the bottom of the eighth in the Padres' 8-3 defeat... Hit his third career leadoff homer and second of the season on 6/19 at CHC…combined with teammates Manuel Margot (four) and Matt Szczur (one) for seven team leadoff home runs in 2017, which ranked tied for seventh in MLB,... Hit safely in a career-high 11 consecutive games from 7/9-24, hitting .319 (15-for-47) over the streak…it matched the longest hitting streak by a Padre in 2017 (also: Wil Myers, 4/9-20)... Had a career-high four hits twice (7/21 at SF and 8/8 at CIN) and a career-high three RBI three times (6/10 vs. KC, 7/21 at SF and 8/7 at CIN)... Sprained his left pinkie finger sliding into third base on 9/10 at ARI…appeared as a pinch-runner on 9/13 at MIN and 9/17 at COL before being shut down for the remainder of the season for the team's final 13 games... Hit .281 (34-for-121) with runners on base, .348 (23-for-66) with RISP and .360 (9-for-25) with RSIP and two outs... Hit .305 (25-for-82) against lefties and .283 (65-for-230) against righties... Hit .333 (14-for-42) against AL opponents and .281 (76-for-270) against the NL, including a .283 (30-for-106) clip against the NL West... Was 4-for-9 (.444) at the plate as the designated hitter and collected hits in both of his two at-bats in the pinch, including a double on 6/7 at ARI when he entered the game in top of the fifth inning and proceeded to go 3-for-3 at the dish... Following the season, played in seven games for Aguilas de Zulia of the Venezuelan Winter League and hit .227 (5-for-22) with one double, one triple, one RBI and three runs scored. Played in 37 games for the Yankees, setting career-highs in nearly every offensive category while also playing in 64 minor league games....Began the season on the Major League seven-day disabled list with a concussion, suffered in Spring Training on 3/22 after crashing into the outfield wall....After rehabbing with Single-A Tampa, Double-A Trenton and Triple-A Scranton/Wilkes-Barre, was reinstated from the DL on 5/6 and hit .256 (11-for-43) over 18 games for the Yankees before being optioned to Triple-A on 6/10....Recalled for a second stint on 6/23 and optioned back to Triple-A on 7/9…recalled a third time on 9/1, spending the remainder of the season with the Big League club....Hit a solo home run on 6/7 vs. LAA, his first career home run, off of C.J. Wilson....Over 60 games total for Scranton/Wilkes-Barre, hit .325 (75-for-231) with 18 extra-base hits, 23 RBI and 40 runs. Hit .333 (8-for-24) with 6R, 1 double, 2 triples and 3 RBI in seven games (three starts at 2B and three at DH) inhis only stint with the Yankees (9/16-28)... Was signed to a Major League contract and selected to the Yankees' active roster from Triple-A Scranton/Wilkes-Barreon 9/16... Made his Major League debut in 9/22 win vs. Baltimore as the Yankees' starting DH, going 2-for-3 with 2R, 1 triple and 1RBI…became the ﬁfth player in Yankees history to make his Major League debut as a starting designatedhitter, joining Darryl Jones (1979), Kevin Maas (1990), Shelley Duncan (2007) and Jesus Montero (2011)-credit: Elias...collected his ﬁrst Major League hit with a third-inning RBI triple and scored his ﬁrst career run later in theinning…was the Yankees' 57th player used in 2014, setting a new franchise record (used 56 players in 2013)... Singled to lead oﬀ the ninth inning on 9/25 vs. Baltimore…was removed for PR (Richardson) who eventuallyscored the game-winning run on Derek Jeter's "walk-oﬀ" hit in his ﬁnal career game at Yankee Stadium... Spent the majority of the season with Scranton/WB, batting .305 (163-for-535) with 87R, 21 doubles, 11 triples,10HR and 60RBI in 130 games…saw time at 1B, 2B, SS, LF, CF, RF and DH…was named a year-end InternationalLeague All-Star as he led the league in hits, runs and triples and ranked second in total bases (236)…was namedthe starting second baseman in the IL All-Star Game... Earned IL "Player of the Month" honors in June, batting .336 (40-for-119) with 21R, 4 doubles, 4HR and 18RBI in28 games…was named IL "Player of the Week" for the period from 5/26-6/2... Following the season, played for Aguilas del Zulia in the Venezuelan Winter League, batting .296 (50-for-169)with 31R, 11 doubles, 6HR and 22RBI in 47 games…batted .406 (13-for-32) oﬀ left-handed pitching. Spent the majority of the season with Double-A Trenton, batting .272 (125-for-459) with 27 doubles, 5 triples, 10HR, 62RBI and 73R in 124 games…recorded a .359 on-base percentage (56BB, 9HBP) and a .418 slugging percentage for the Thunder…batted .429 (15-for-35, 2HR, 9RBI) during a 10-game hitting streak from 6/14-24…batted .426 (20-for-47) during a 13-game hitting streak from 6/30-7/15, recording multiple hits in five consecutive games from 7/6-12 (.579, 11-for-19)…was promoted to Triple-A Scranton/Wilkes-Barre on 7/24 and hit safely in all 5G (.304, 7-for-23)…on 8/19 at New Britain, went 5-for-5 with 1 double and a season-high 4RBI…combined at Trenton and Scranton/WB to hit .318 (94-for-296) in June, July and August…batted .269 (7-for-26) with 7R and 3RBI during the Eastern League playoffs…ranked fourth among Yankees minor league players in stolen bases…led Trenton in doubles and steals, also ranking second in runs, hits, home runs, RBI and walks…also appeared in 63G for Zulia of the Venezuelan Winter League, batting .332 (82-for-247) with 13 doubles, 7 triples, 6HR, 44RBI and 58R…recorded a .415 OBP and slugged .514 in the winter, also ranking among the VWL leaders in runs (1st), triples (T1st), doubles (T4th) and average (5th)…produced hitting streaks of 11G (10/16-27), 10G (11-6/16) and 16G (11/30-12/28)… recorded 25 multi-hit games, including seven straight from 11/7-14 (.500, 16-for-32). Played the entire season with Trenton and hit .293 (93-for-317) with 19 doubles, 3 triples, 8HR and 33RBI in 82G… played in 52G with Zulia of the VWL and batted .264 (53-for-201) with 3HR. Batted .239 (112-for-468) with 21 doubles, 4 triples, 8HR and 45RBI in 128G with Trenton… also played in 60G with Zulia of the VWL and hit .301 (71-for-236) with 3HR. Played the entire season with Single-A Tampa and batted .252 (125-for-497) with 15 doubles, 13 triples, 5HR , 61RBI and 30SB… tied for first in the FSL in triples and tied for second on the team in steals… played in 6 postseason games for Tampa's FSL championship squad and hit .208 (5-for-24) with 1 double, 2RBI and 3SB… following the season, appeared in 23G for the Phoenix Desert Dogs of the Arizona Fall League, batting .180 (16-for-89) with 3 doubles, 1HR, 5RBI and 2SB… also made 29 appearances with Zulia of the VWL, where he hit .333 (34-for-102) with 3HR. Hit .295 with 23 doubles, 6 triples and 46RBI in 97G with Single-A Charleston… recorded multiple hits in 6 of 7G from 7/23-8/1, batting .516 (16-for-31) with 2 doubles, 1 triple and 4RBI over the stretch. Appeared in 35G with the GCL Yankees, batting .234 with 4 doubles, 1 triple and 10RBI. Made his professional debut with the DSL Yankees 1, batting .273 with 7 doubles, 3 triples, 4HR, 29RBI and 15SB in 65G… ranked second on the team in stolen bases and third in runs (44). April 19, 2019 San Diego Padres recalled LF Jose Pirela from El Paso Chihuahuas. March 28, 2019 San Diego Padres optioned LF Jose Pirela to El Paso Chihuahuas. December 4, 2017 OF Jose Pirela assigned to Aguilas del Zulia. June 6, 2017 San Diego Padres selected the contract of Jose Pirela from El Paso Chihuahuas. April 3, 2017 OF Jose Pirela assigned to El Paso Chihuahuas. 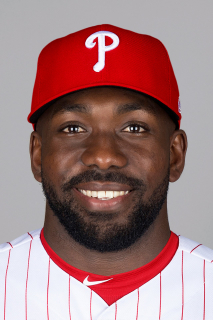 January 30, 2017 OF Jose Pirela assigned to Venezuela. December 6, 2016 San Diego Padres signed free agent 2B Jose Pirela to a minor league contract and invited him to spring training. December 2, 2016 LF Jose Pirela elected free agency. October 3, 2016 San Diego Padres recalled LF Jose Pirela from El Paso Chihuahuas. September 25, 2016 OF Jose Pirela assigned to Aguilas del Zulia. September 21, 2016 El Paso Chihuahuas activated LF Jose Pirela from the 7-day disabled list. June 6, 2016 El Paso Chihuahuas placed LF Jose Pirela on the 7-day disabled list. May 21, 2016 San Diego Padres optioned OF Jose Pirela to El Paso Chihuahuas. May 8, 2016 San Diego Padres recalled Jose Pirela from El Paso Chihuahuas. April 26, 2016 San Diego Padres optioned LF Jose Pirela to El Paso Chihuahuas. April 22, 2016 San Diego Padres recalled Jose Pirela from El Paso Chihuahuas. April 3, 2016 San Diego Padres optioned LF Jose Pirela to El Paso Chihuahuas. November 11, 2015 New York Yankees traded LF Jose Pirela to San Diego Padres for RHP Ronald Herrera. October 7, 2015 New York Yankees activated 2B Jose Pirela. October 6, 2015 New York Yankees reassigned 2B Jose Pirela to the minor leagues. September 1, 2015 New York Yankees recalled 2B Jose Pirela from Scranton/Wilkes-Barre RailRiders. July 9, 2015 New York Yankees optioned 2B Jose Pirela to Scranton/Wilkes-Barre RailRiders. June 23, 2015 New York Yankees recalled Jose Pirela from Scranton/Wilkes-Barre RailRiders. June 11, 2015 New York Yankees optioned 2B Jose Pirela to Scranton/Wilkes-Barre RailRiders. May 6, 2015 Jose Pirela roster status changed by New York Yankees. April 30, 2015 New York Yankees sent 2B Jose Pirela on a rehab assignment to Scranton/Wilkes-Barre RailRiders. April 27, 2015 New York Yankees sent 2B Jose Pirela on a rehab assignment to Trenton Thunder. April 26, 2015 New York Yankees sent 2B Jose Pirela on a rehab assignment to Tampa Yankees. October 24, 2014 2B Jose Pirela assigned to Aguilas del Zulia. September 16, 2014 New York Yankees selected the contract of 2B Jose Pirela from Scranton/Wilkes-Barre RailRiders. April 3, 2014 2B Jose Pirela assigned to Scranton/Wilkes-Barre RailRiders. January 31, 2014 2B Jose Pirela assigned to Venezuela. January 29, 2014 New York Yankees invited non-roster 2B Jose Pirela to spring training. July 29, 2013 2B Jose Pirela assigned to Trenton Thunder from Scranton/Wilkes-Barre RailRiders. July 24, 2013 Jose Pirela assigned to Scranton/Wilkes-Barre RailRiders from Trenton Thunder. January 31, 2013 New York Yankees invited non-roster 2B Jose Pirela to spring training. September 20, 2012 Jose Pirela roster status changed by Trenton Thunder. August 20, 2012 Trenton Thunder placed SS Jose Pirela on the 7-day disabled list. May 24, 2012 Trenton Thunder activated SS Jose Pirela from the 7-day disabled list. April 12, 2012 Trenton Thunder placed SS Jose Pirela on the 7-day disabled list. March 11, 2012 SS Jose Pirela assigned to New York Yankees. April 4, 2011 SS Jose Pirela assigned to Trenton Thunder from Tampa Yankees. March 7, 2011 SS Jose Pirela assigned to New York Yankees. November 23, 2010 2B Jose Pirela assigned to Aguilas del Zulia. October 8, 2010 SS Jose Pirela assigned to Phoenix Desert Dogs. April 4, 2010 Jose Pirela assigned to Tampa Yankees from Charleston RiverDogs. March 19, 2010 SS Jose Pirela assigned to New York Yankees. May 19, 2009 Jose Pirela assigned to Charleston RiverDogs from GCL Yankees.